Just like many other sensitive documents, x-rays and MRIs contain personal information and thus they need to be destroyed properly to protect the patient. In addition to the HIPAA regulation, X-rays contain silver which can contaminate the environment, so it is not recommended that you dispose of them in the regular trash or throw them into the recycling bin. Dental, medical and veterinary x-rays and MRIs should be destroyed safely and securely just as all medical records. As a medical facility, you are aware that for medical records there are laws on how long you should retain them before destruction. The required length of time to keep these records varies from state to state, as is the case with x-rays and MRIs. 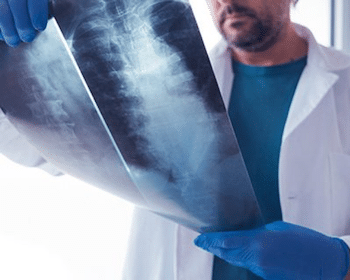 In Florida, the law requires that doctors retain x-rays and MRIs for a minimum of 5 years after the last contact with the patient and that public hospitals retain them for at least 7 years. Once that time period has passed, it is best to destroy the x-rays and MRI records by having them professionally shredded by a licensed and certified shredding provider. All Points Mobile Shredding will come to you to safely and securely destroy your x-rays and MRI records. Our trained technicians will ensure that each record is permanently shredded and will provide you with a certificate of destruction for your records. This is important because it gives you with the credibility you need to remain compliant with HIPAA and OSHA. As a family owned and operated, licensed and certified company located in Stuart, Florida, All Points Mobile Shredding has served hospitals, medical offices, clinics, urgent care facilities, assisted living facilities, veterinarians and other medical organizations for more than twenty years—providing personalized service as well as both onsite mobile shredding of documents, medical records, x-rays, MRIs, hard-drives and medical waste disposal. Combine both services to simplify your disposal and destruction needs and take advantage of our well-priced, no hidden fees services. To find out more about what we do and how we can help you, give us a call today at 772.283.4152 or fill out our online quote request.